Corporal José Francisco Lacerda, known as Chico Diabo (Frank, the Devil), mortally wounding President Solano López with a spear. The Battle of Cerro Corá was fought on 1 March 1870 on a hill-surrounded valley of the same name, in the north-east of Paraguay. This was the last battle in the Paraguayan War. Present with President Francisco Solano López's personal guard were a group of women, led by his mistress Eliza Lynch. This group was composed of the soldier's wives, daughters, and others, who supported the soldiers called "Las Residentas". 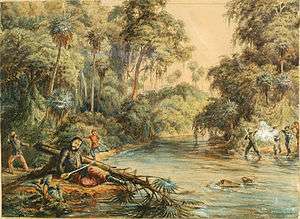 Death of Francisco Solano López in River Aquidabán (by Adolfo Methfessel). 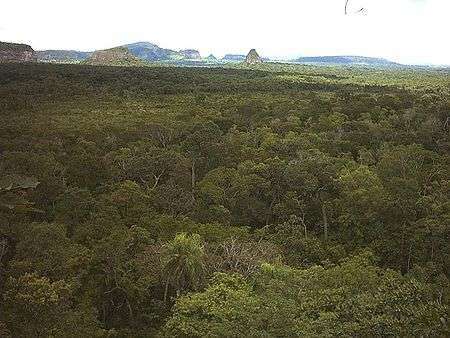 Landscape of Cerro Corá (Amambay, Paraguay), as seen from the top of Cerro Muralla. After the Brazilian forces killed López, they headed towards the civilians in order to capture them. López and Eliza Lynch's eldest son Juan Francisco, who had been promoted to Colonel during the war and was 15 years old, was with her. 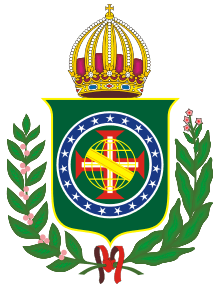 The Brazilian officers told him to surrender, and upon replying "Un coronel paraguayo nunca se rinde" (A Paraguayan colonel never surrenders) he was shot and killed. Whereupon jumping and covering her son's body, Lynch exclaimed "¿Ésta es la civilización que han prometido?" (Is this the civilization you have promised?) 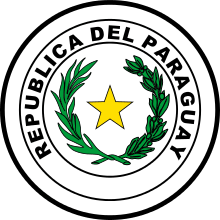 (making a reference to the allies' claim that they intended to free Paraguay from a tyrant and deliver freedom and civilization to the nation). She then buried both López and her son with her bare hands before being taken as prisoner. Cerro Cora is a 1978 Paraguayan film set on the last days of the Paraguayan War. ↑ Bareiro Saguier, Ruben; Villagra Marsal, Carlos. ‘’Testimonios de la Guerra Grande. Muerte del Mariscal López. Tomo II’’, Editorial Servilibro. Asuncion, Paraguay, 2007. Page 106.